Writing about Screen Media presents strategies for writing about a broad range of media objects – including film, television, social media, advertising, video games, mobile media, music videos, and digital media – in an equally broad range of formats. The book’s case studies showcase media studies’ geographical and industrial breadth, with essays covering topics as varied as: Brazilian telenovelas, K-pop music videos, Bombay cinema credit sequences, global streaming services, film festivals, archives, and more. With the expertise of over forty esteemed media scholars, the collection combines personal reflections about writing with practical advice. Writing about Screen Media reflects the diversity of screen media criticism and encourages both beginning and established writers to experiment with content and form. 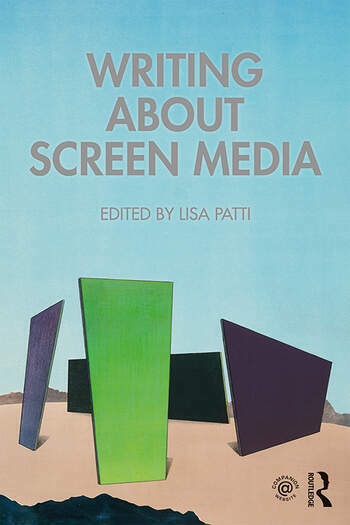 Through its unprecedented scope, this volume will engage not only those who may be writing about film and other screen media for the first time but also accomplished writers who are interested in exploring new screen media objects, new approaches to writing about media, and new formats for critical expression. Lisa Patti is Associate Professor in the Media and Society Program at Hobart and William Smith Colleges. She is co-author (with Glyn Davis, Kay Dickinson, and Amy Villarejo) of Film Studies: A Global Introduction (Routledge, 2015) and co-editor (with Tijana Mamula) of The Multilingual Screen: New Reflections on Cinema and Linguistic Difference (2016).